Ryan Reynolds has released the new poster for Deadpool 2 which looks a lot like the 1983 film, Flashdance. Check it out below. Deadpool 2 isn’t that far off now. The sequel to 2016’s surprise hit seems to be taking what they did in the first movie and just cranking it all the way up to eleven. 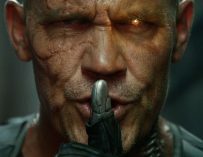 This time around, Ryan Reynolds’ Deadpool will be joined by Josh Brolin’s Cable. That’s right. Josh Brolin is playing both Cable and Thanos. I’m not sure how they’re going to deal with this once Disney’s takeover of 20th Century Fox is complete. 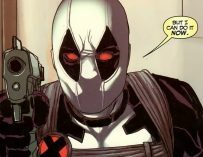 Deadpool 2 is being helmed by John Wick director, David Leitch and he’s working off a script from Paul Wernick and Rhett Reese, who also wrote the first movie. Anyway, the marketing campaign has been suitably bonkers for a Deadpool movie. 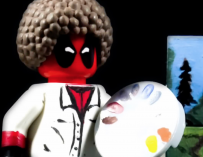 The first trailer release had Deadpool doing a sort of ‘homage’ to Bob Ross’ The Joy of Painting. Now we’ve got this poster which is heavily inspired by the poster for the film, Flashdance. Check it out below via Ryan Reynolds’ tweet. There’s something very special about Reynolds’ depiction of Deadpool. He was very much born to play this role, and there was a time when we thought that X-Men Origins: Wolverine was the only time we’d get to see him as a sort of Deadpool. Thank God that somebody leaked the Comic-Con footage which forced Fox to greenlight the movie because the response to it was so overwhelmingly positive. We still don’t know who it was, but my money’s on Reynolds. 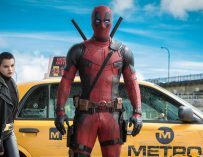 Deadpool 2, which may or may not be called Deadpool 2, will be in cinemas on June 1st. What do you think of this poster? Let us know in the comments below.